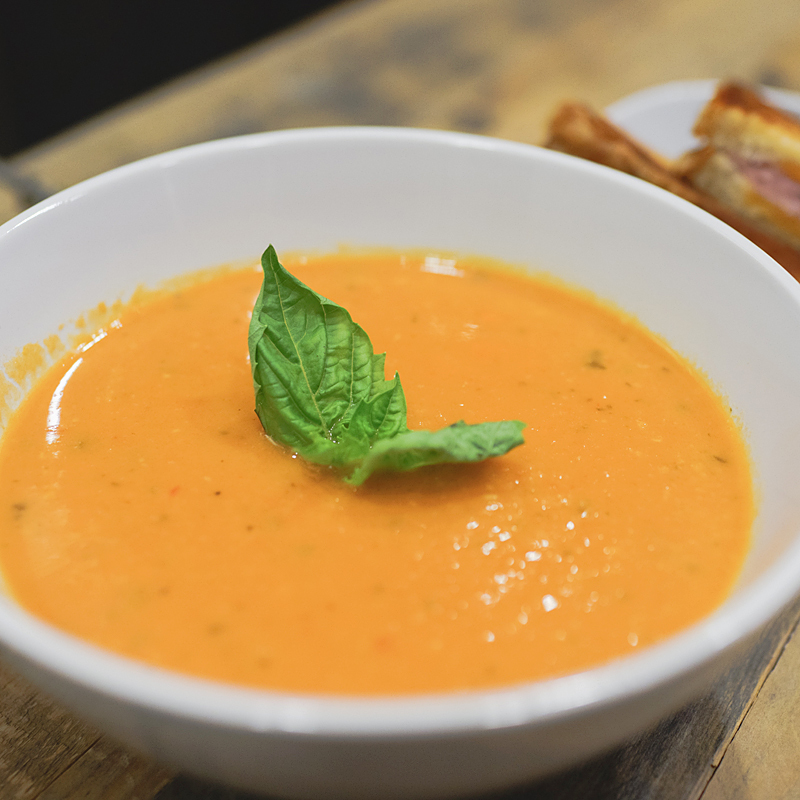 Guest blogger Mikee Catacutan is blessing us with his Tomato Bisque. Get into this. It’s delicious. I have the privilege of being a taste tester for FMITK. 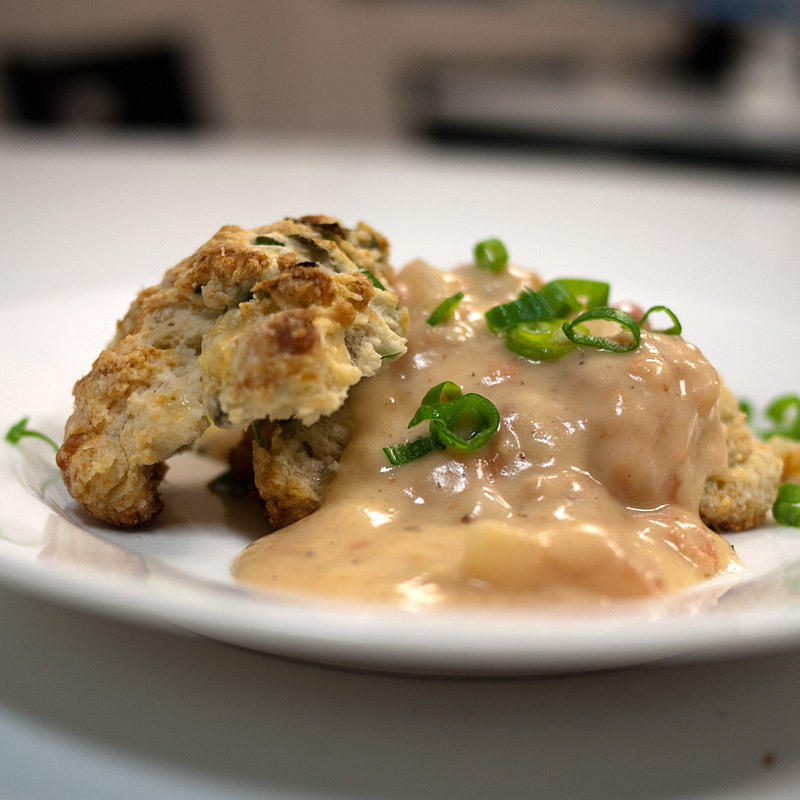 I’ll tell you right now, everything you’ve seen/read/salivated over on this blog is as good as it looks. With that said, I wanted to do something on the more simple side, but still from scratch. It’s the FMITK way. 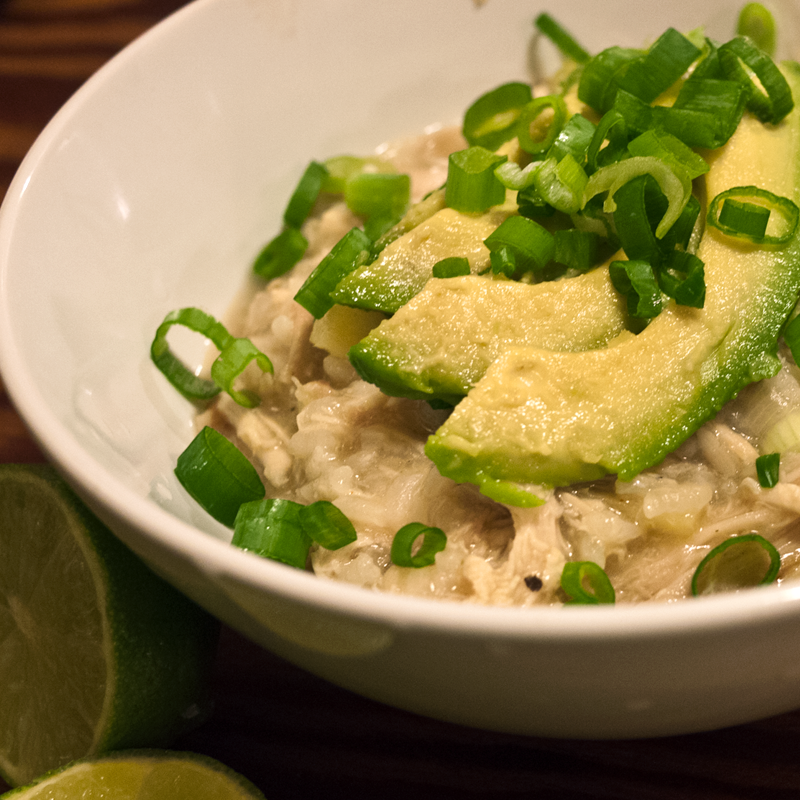 It’s been a bit chilly here in San Diego, by our standards anyway, so it felt appropriate to do a soup as my first guest blog. I wanted something hearty and comforting but I also didn’t want to feel guilty about eating a huge bowl. I remembered reading somewhere that to make tomato bisque a bit healthier, you could replace a majority of the heavy cream with beans… beans! 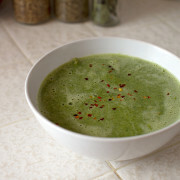 Note: You’ll need an immersion blender for this, which is a great investment if you love hearty soups. Note II: I’ve never done this soup before, hence the photo of the glass of wine. I love cooking new recipes with wine. Not actually using it, but drinking it because if whatever I cook turns out bad, it’s all good because I have a nice buzz going on and I’m not too sad about my failed attempt lol. 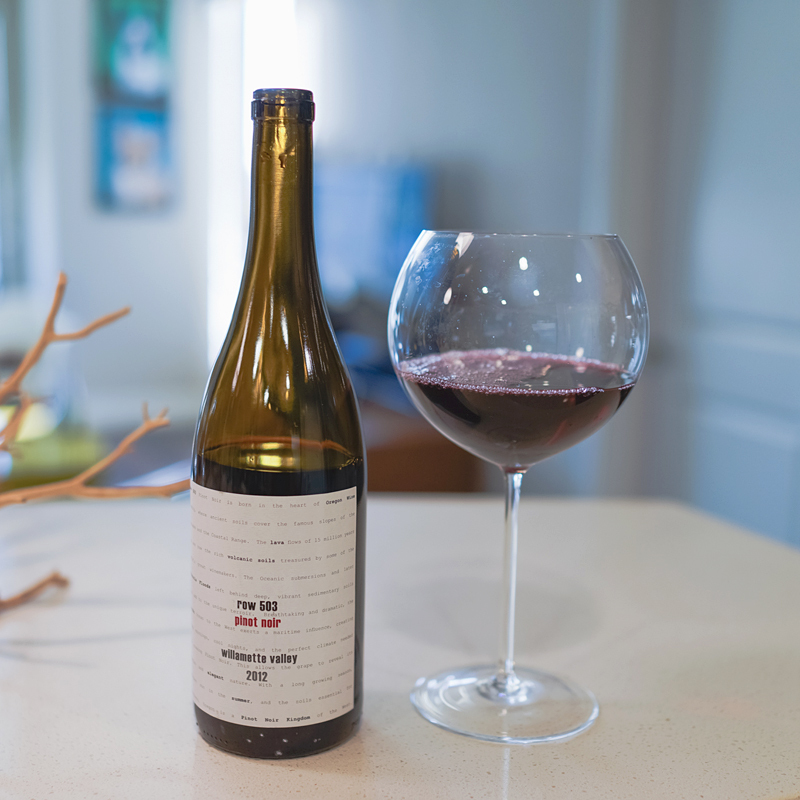 Luckily here, this recipe is almost fool proof, so the wine is definitely not necessary. After you’ve prepped (chopped your onion, minced your garlic, washed your basil, opened your cans, poured an optional glass of wine), place the onions and garlic in a large pot with butter and sauté for about 6 minutes in medium heat. Basically, sauté until the onions are translucent and soft. 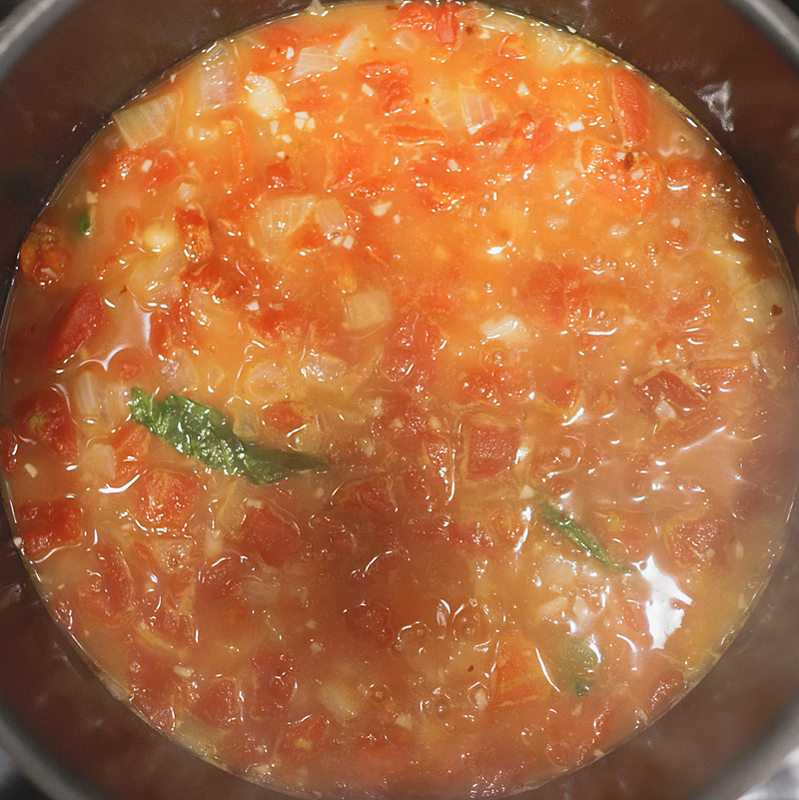 Next, add the chicken stock, tomatoes, beans, tomato paste, basil leaves and crushed red pepper. Bring to boil and then simmer to medium heat for about 25 minutes. Remember to stir often. You’re pretty much done! 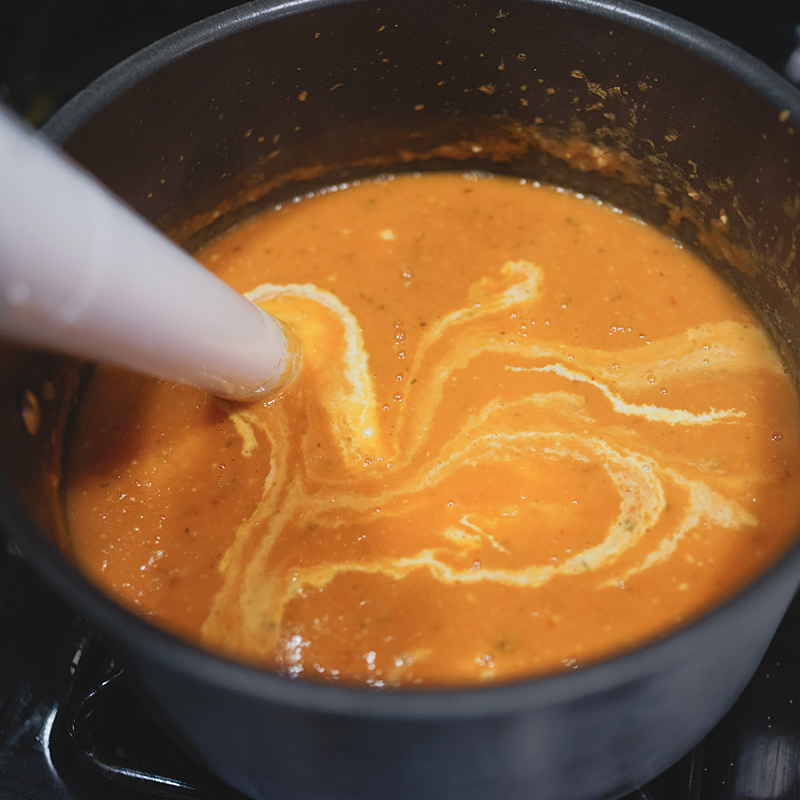 After about 25 minutes, turn heat to low and use an immersion blender to puree to a consistency you like. I don’t mind little bits and pieces, it adds to the heartiness in my opinion. Next add the cream and stir or whip to combine. Finally, salt and pepper to taste. It doesn’t need much, if any. Well, unless you want something yummy to dip into it. This part is optional, though for me is a must. 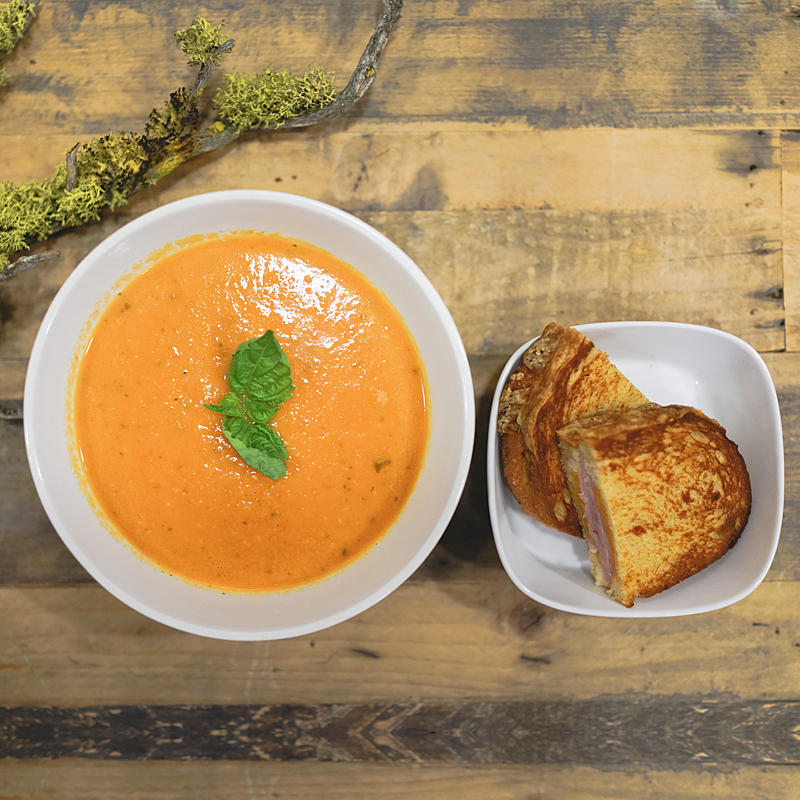 While the soup is sitting on low to keep warm, go ahead and assemble your grilled cheese sandwich and use a griddle, pan or even better, a panini press. 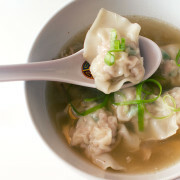 I’m using simple ingredients as to not outshine the soup. Think of the bread as the vehicle to get the soup into your mouth. Any small loaf bread, preferred cheese, butter and deli ham will do. 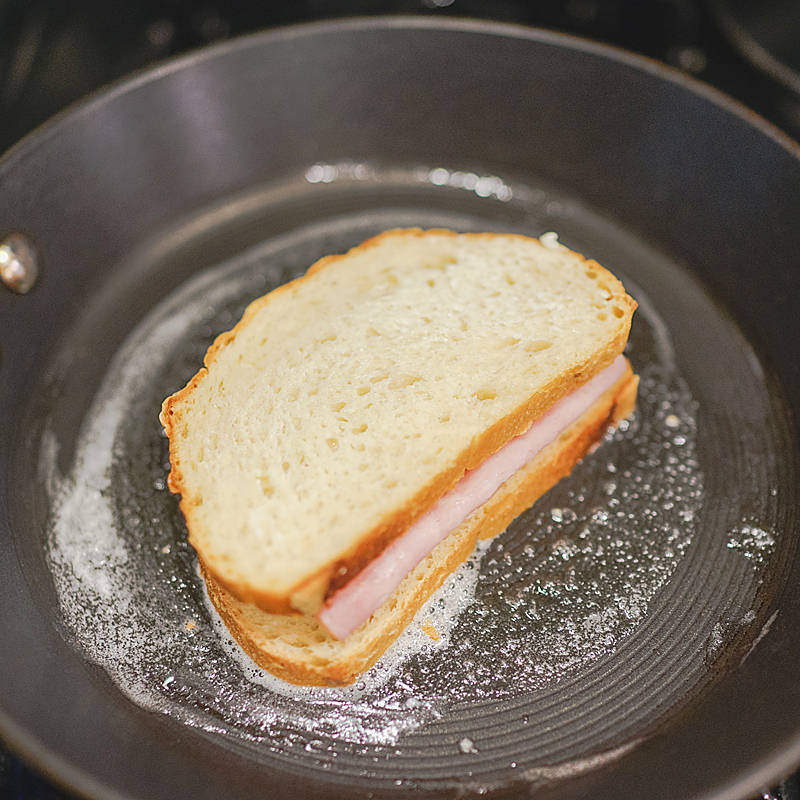 If using a pan, lightly butter the pan and on high heat, place sandwich down and press down hard with a spatula to get a good sear. If using a panini press, butter the top and bottom of the sandwich. 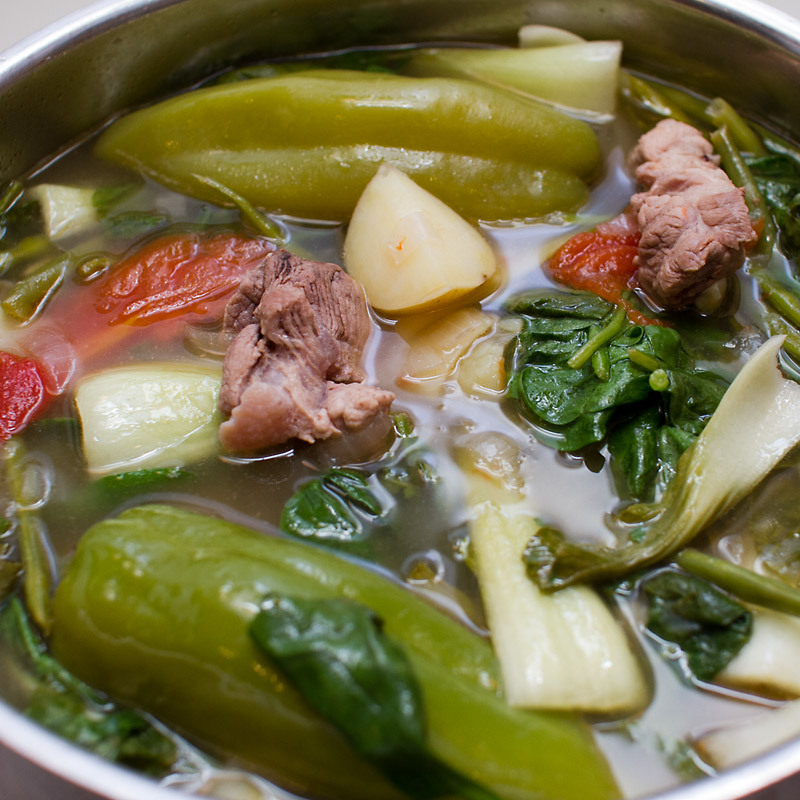 I’m telling you, the color of this soup… the richness of flavors and heartiness is perfect for a cold night. 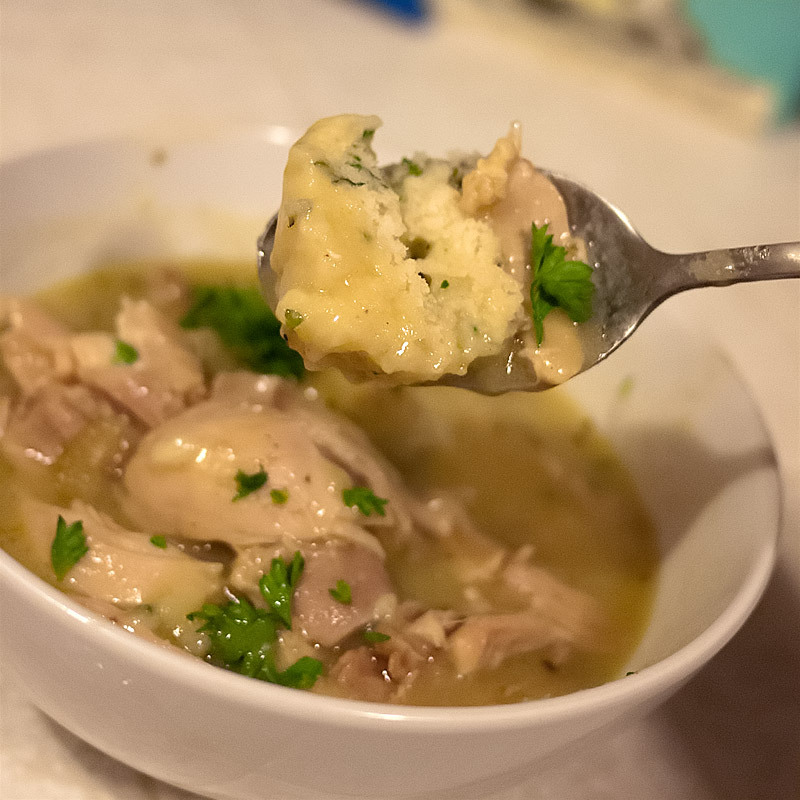 A great tip for leftovers: I bought a rotisserie chicken the next day and placed some of the breast meat in the soup along with some strips of tortilla and cilantro. Totally tasted like chicken tortilla soup. 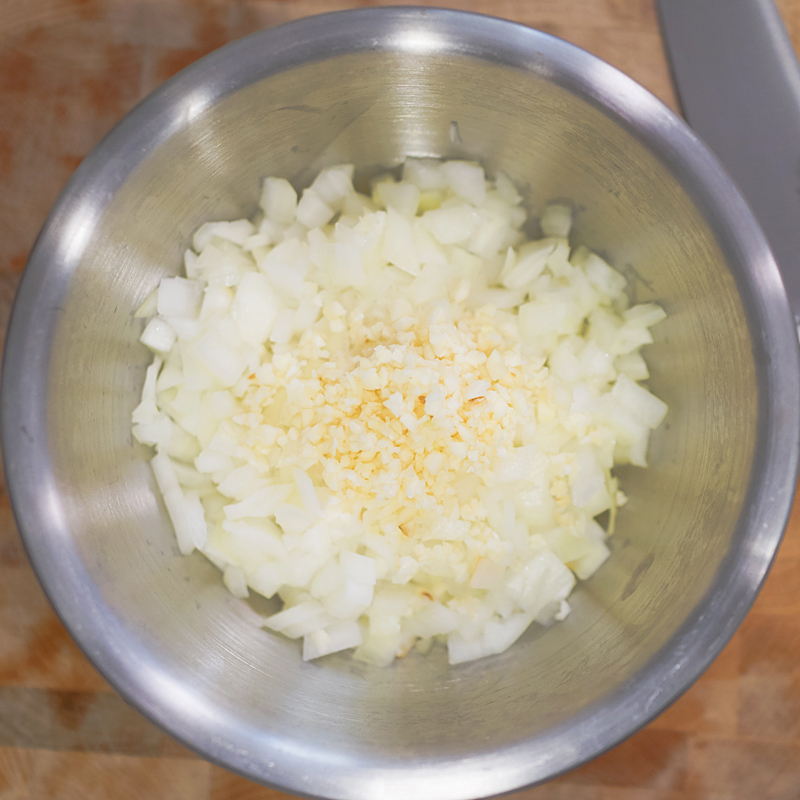 Place the onions and garlic in a large pot with butter and sauté for about 6 minutes in medium heat, until the onions are translucent and soft. 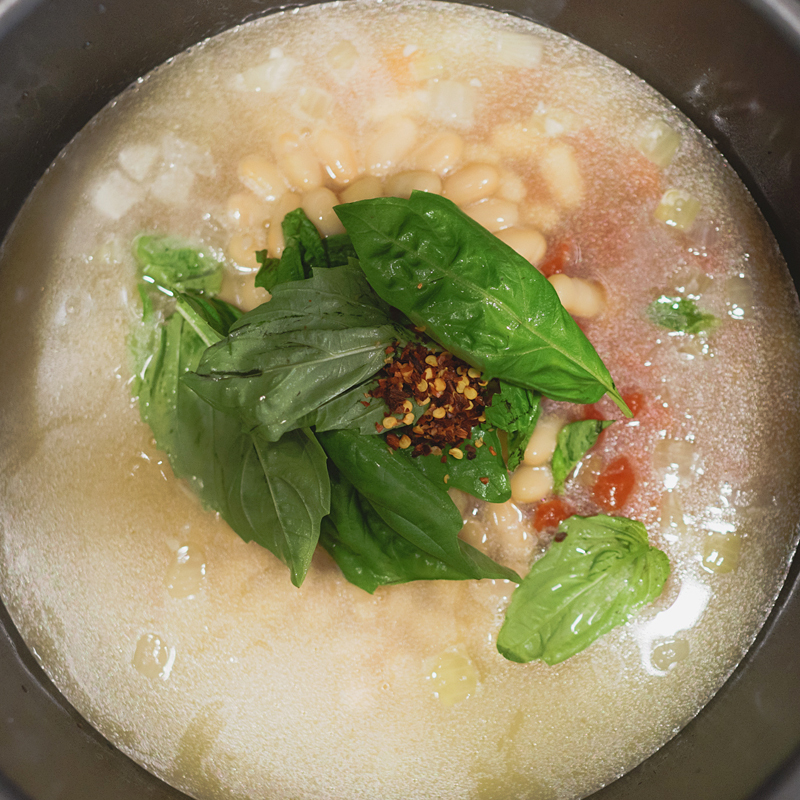 Add the chicken stock, tomatoes, beans, tomato paste, basil leaves and crushed red pepper. Bring to boil and then simmer to medium heat for about 25 minutes, stirring often. 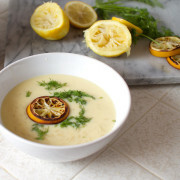 Turn heat to low and use an immersion blender to puree to a consistency you like. I don’t mind little bits and pieces, it adds to the heartiness in my opinion. Add the cream and stir or whip to combine. Finally, salt and pepper to taste. It doesn’t need much, if any. 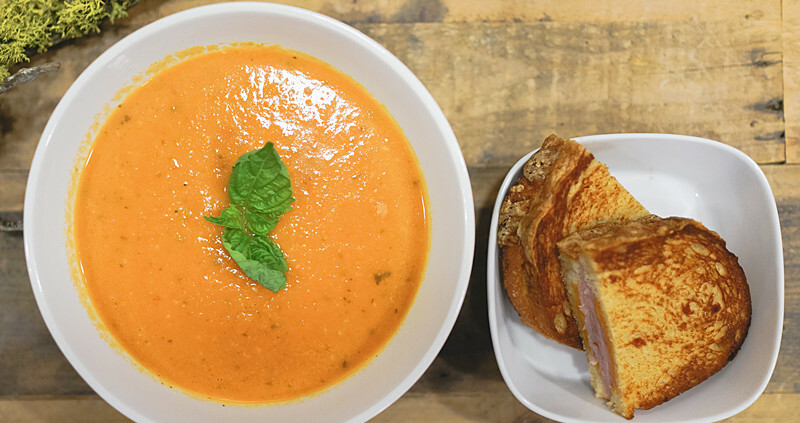 While soup is kept warm, assemble the grilled cheese sandwich and use a griddle, pan or even better, a panini press. If using a pan, lightly butter the pan and on high heat, place sandwich down and press down hard with a spatula to get a good sear. If using a panini press, butter the top and bottom of the sandwich.